D&M Financial Services (DMFS) is an independent, versatile, boutique financial advisory business with extensive experience responding to a wide range of client needs. At DMFS we understand that clients’ lives touch on many different financial needs and opportunities that require integration. That’s why we have a wide range of financial services that can be tailored and packaged to suit individual needs. With our deep knowledge of finance and an impressive network of professional contacts, DMFS are able to provide a clear, plain English advice allowing our clients to achieve their life goals. 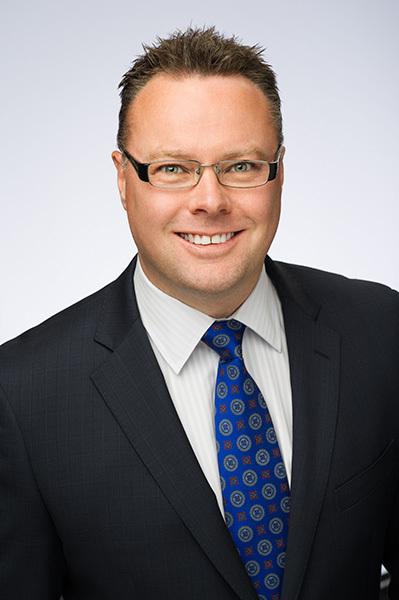 Damien has worked in the financial services industry since 1999, and Financial Planning since 2001. Damien has worked in three of the major banks and for two boutique financial advice businesses in Melbourne. After several years of fighting against the unethical practices he was exposed to, Damien decided that the only way to truly provide advice that is independent and free of conflicts was to remove himself from the influences of an institution and establish an independent financial advice business. D&M Financial Services was born. “People deserve to have the confidence in getting quality financial advice that is truly in their best interests, not the interests of the institution that the financial adviser is employed by or represents. A man can NOT have two masters. Advice that is free from influence of a financial institution, is advice that is in the client’s best interest and advice that CAN be trusted”. Damien’s professional standards are further illustrated by his rank of CERTIFIED FINANCIAL PLANNER® (CFP®) with the Financial Planning Association of Australia (FPA). The CFP® mark is the highest rank attainable for a financial planner and requires that recipients undertake rigorous ongoing education requirements every year to remain at the peak of professional advice standards. Only 30% of licensed financial planners in Australia hold CFP® certification. Damien has also been formally endorsed by the SMSF Professionals’ Association of Australia (SPAA) as a SMSF Specialist Adviser™ (SSA™). SPAA accreditation is the first and still most widely recognised SMSF specialisation in Australia. Damien has also completed the Diploma of Finance and Mortgage Broking Management and is a member of the Finance Brokers Association of Australia (FBAA). Damien is also a member of the Credit Ombudsman Service Limited (COSL), which provides a free independent and impartial dispute resolution service to protect our clients even further. Outside of work, Damien is a keen outdoorsman. He owns a four wheel drive that he has put many optional accessories on, to allow him to go 4WD’ing with his family and friends to visit some of the most remote and beautiful places our beautiful country has to offer. Damien is also a keen supporter of the Hawthorn Football Club and watches almost every game. He also loves to get along to as many games as he can with his family. Damien is married to Melissa and has two beautiful children, Liam and Charlize, whom he adores. As a boutique business, we offer a true personalised service and are available for you whenever you need our help.